I finally got around to write this tool. It was on my to-do list for quite some time now. I already wrote ANSI converters (link 2) and most recently a Font Tool for the old MS-DOS ANSI Editor TheDraw (Font Tool Homepage), so it was only a natural progression to write something like this editor. ANSI Text Art Editor is an ANSI text editing tool very similar to PabloDraw, ACiDDraw, TheDraw, TundraDraw, TetraDraw or AnsiDraw, but unlike the better half of them for Windows 32bit and 64bit Computers and not MS DOS. For the folks who hate reading, visit the special ATE – Ansi Text Editor Home Page to download the Program. The Editor is still in Beta and not 100% stable. There are also bugs here and there which I am currently working on eliminating. Nevertheless, I think the current state of the tool allows me to make it public, especially to be able to get some feedback, comments and suggestions from you guys out there, who are still into good old ANSI/ASCII Text Art like me :). Post them here at the blog or use my sites contact form. 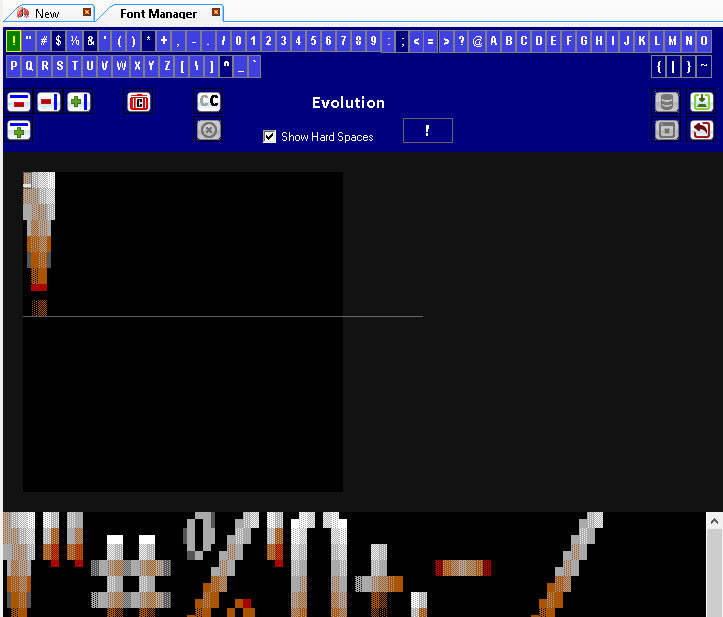 ANSI Font System (to Create, Edit and Use Custom ANSI Fonts) similar to the one provided by TheDraw (but without the limitations in width/height). Import and Export option for TheDraw fonts. Color Masks, Free Paint Tool, Eraser, Move, Copy, Cut, Clear etc. I incorporated many of the unique features of my previous ANSI related tools into this one, such as the export to HTML for the Web (yes, ANSI’s and ASCII’s), Export of ASCII’s to Unicode (UTF-16 (Example and UTF-8 Example) Text Files, as well as Export to various Image Formats (.PNG, .BMP, .JPG, .ICO, .GIF). The tool supports the following file formats for loading and saving your art: ANSI (.ANS), ASCII (no colors) (.ASC), PCBoard (.PCB), Wildcat 2.X (.WC2), Wildcat 3.X (.WC3), Avatar (.AVT), Binary Text (160 columns) (.BIN). 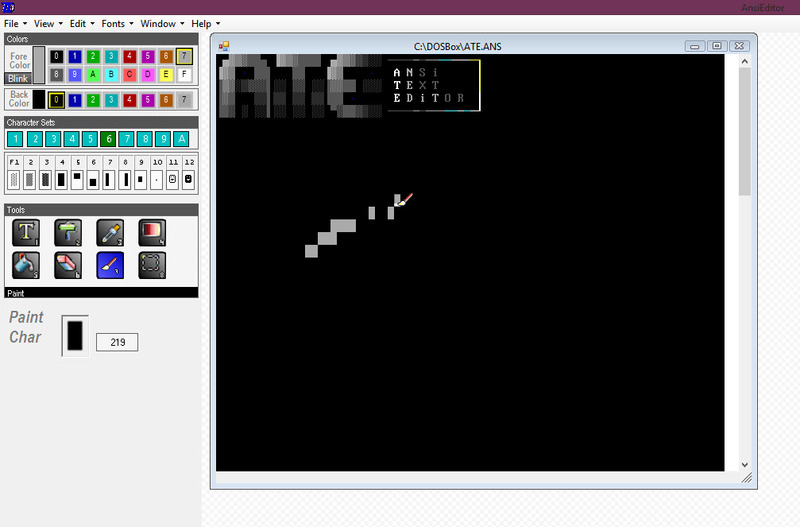 There is unfortunately no support for ANSI Animations yet. I might add this in the future, but my problem is, that I am myself not very familiar with ANSI Animations. I never created any. I know that TheDraw supports ANSI Animations, but from the look at it, the Editing tool is unique to TheDraw and very confusing (in other words, you cannot just start playing around with it and expect any usable results quickly). Are there other tools that were used to create ANSI animations in the past?